Leslie Chong, Consumer Sales Manager, Chevron Malaysia Limited (standing, 4th from left), Agilan "Alligator" Thani (Professional MMA fighter), Nazurah Said, Indirect Channel Marketing, Chevron Lubricants, Ann "Athena" Osman (sitting, third from left), with the Riding Pink team, Malaysia’s first e-hailing transportation platform designated for women. Kuala Lumpur, 11 July 2018 — Chevron Malaysia Limited, through its Caltex Havoline brand, together with ONE Championship, Asia’s largest global sports media property, organised a special CSR initiative in collaboration with Riding Pink, Malaysia’s first women-only e-hailing transportation platform, to lift confidence in women drivers and prepare them for dangerous and unforeseen circumstances via a self-defense workshop. 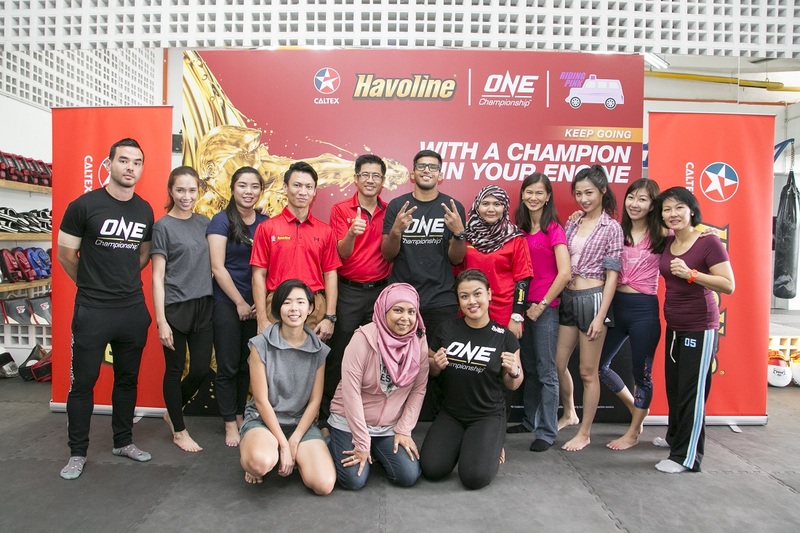 The self-defence workshop was organised in conjunction with the Caltex Havoline® – ONE Championship partnership, featuring the ONE Championship Bundle Promotion, which offers a selected range of Havoline engine oils. The workshop was conducted by homegrown mixed martial arts personalities, Ann “Athena” Osman and Agilan “Alligator” Thani, who emphasised the importance of learning self-defence to keep one’s safety while on the road. “We place the highest priority on the safety of our communities. We understand Riding Pink folks often spend more time on the road than regular drivers, which is why we aim to inspire them on the importance of physical fitness for their safety; to develop on their strength and learn how to apply some of these useful life skills to their daily routines, through this session,” said Consumer Sales Manager for Chevron Malaysia Limited, Leslie Chong. 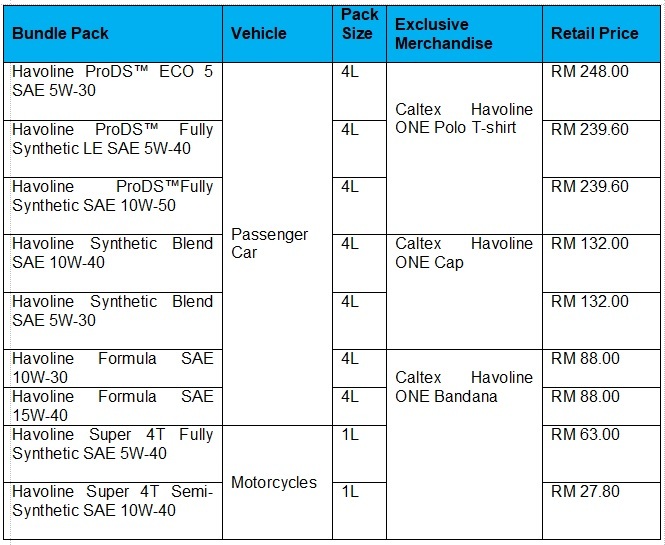 The bundle packs are available at selected Caltex service stations, Havoline workshops and auto supply stores nationwide until 31 July 2018 or while stocks last.